Nine-year-old Audrey Faye Hendricks intended to go places and do things like anybody else. So when she heard grown-ups talk about wiping out Birmingham's segregation laws, she spoke up. As she listened to the preacher's words, smooth as glass, she sat up tall. And when she heard the plan -- picket those white stores! March to protest those unfair laws! Fill the jails! -- she stepped right up and said, "I'll do it!" She was going to j-a-a-il! Audrey Faye Hendricks was confident and bold and brave as can be, and hers is the remarkable and inspiring story of one child's role in the Civil Rights Movement. 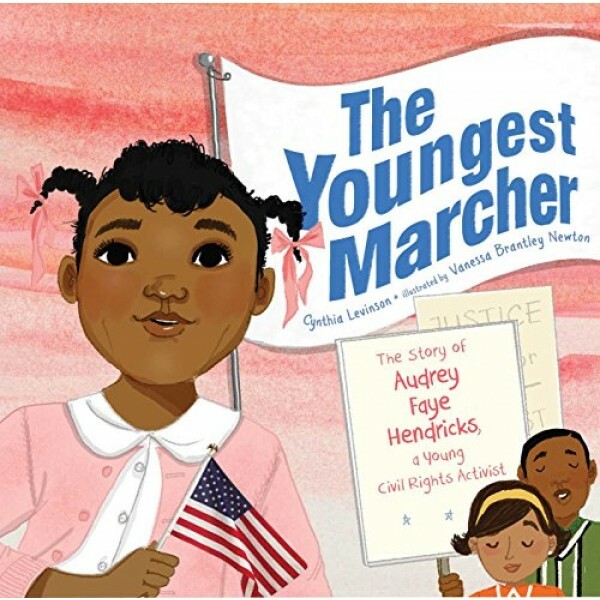 Meet the youngest known child to be arrested for a civil rights protest in Birmingham, Alabama, 1963, in this moving picture book that proves you're never too little to make a difference.